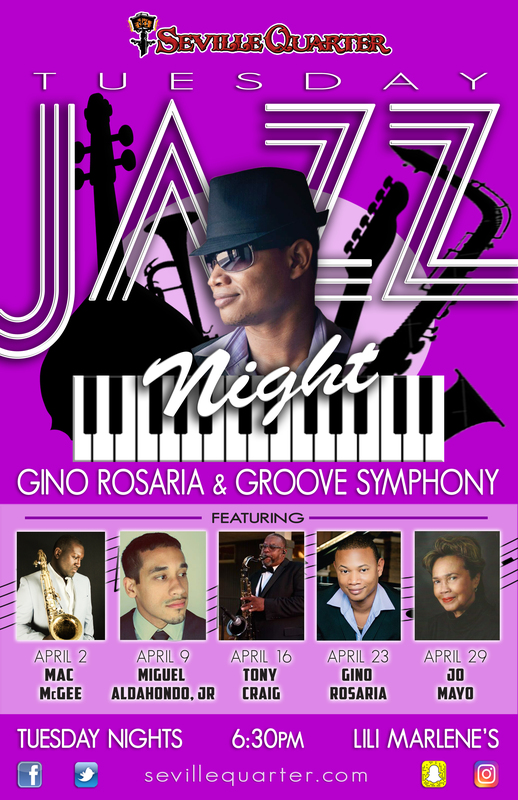 Seville Quarter presents: Gino Rosaria, award wining pianist performing jazz standards, smooth jazz, and Latin jazz. Gino performs with his award winning band Groove Symphony (www.groovesymphonyband.com) and features some of the best jazz artists on the Gulf Coast, Los Angeles, Atlanta, and NYC. The jazz show starts at 6:30 pm to 10pm in the Lili Marlene’s listening room. 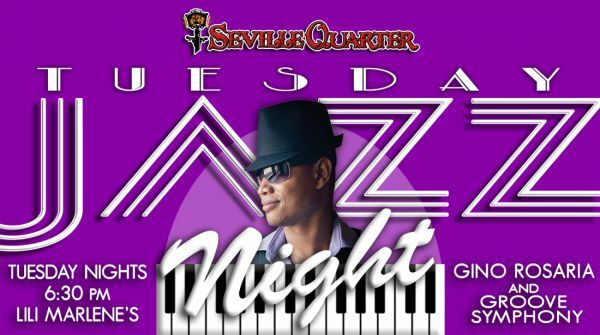 For more information go to www.sevillequarter.com or call 850-434-6211.